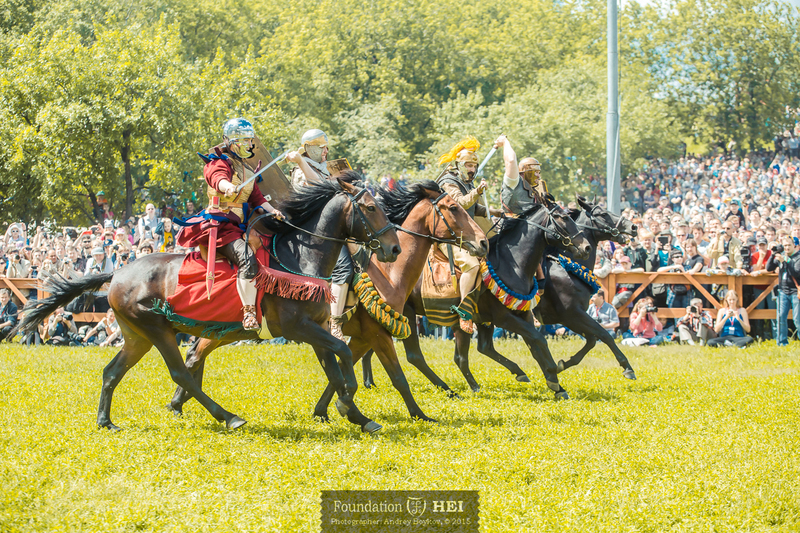 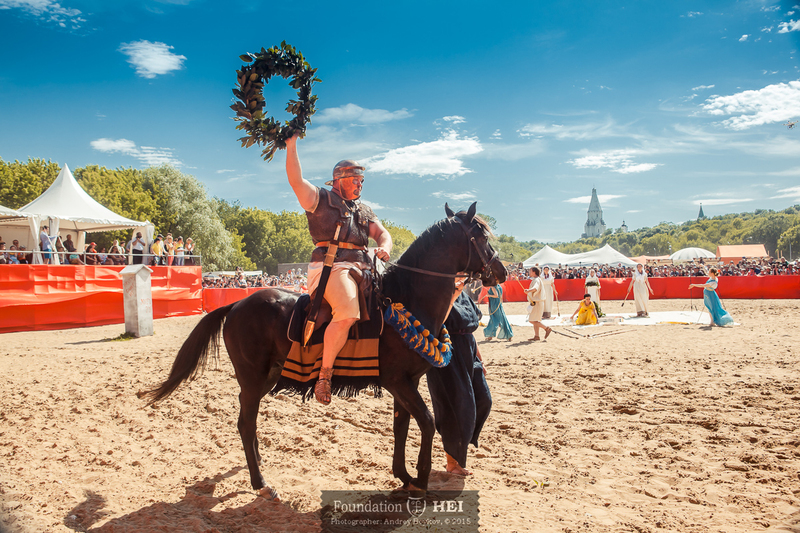 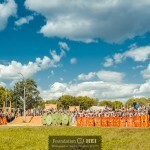 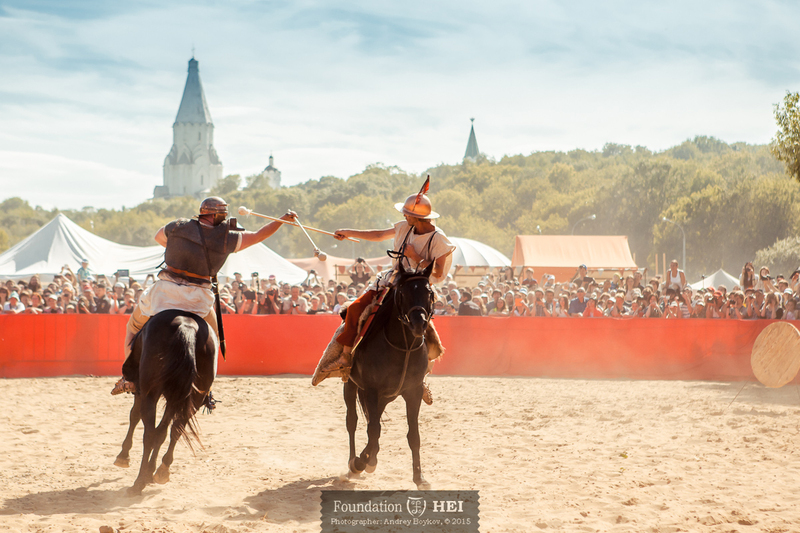 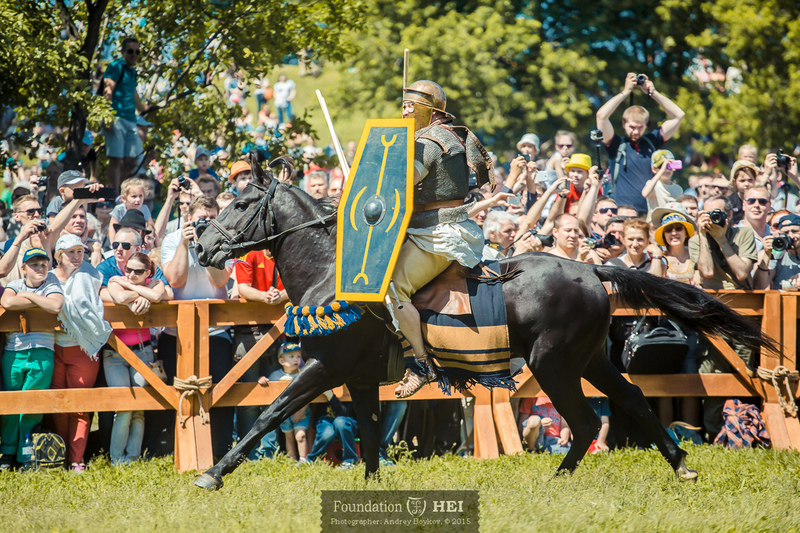 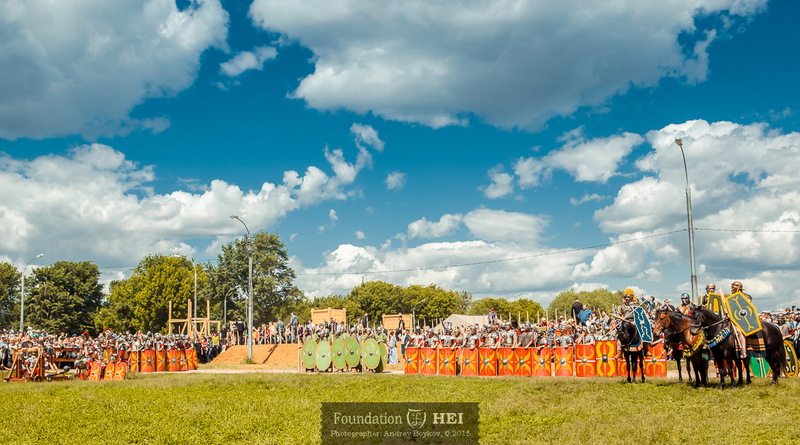 In early June four riders of Foundation HEI participated in the annual Times & Epochs festival in Kolomenskoye park in Moscow. 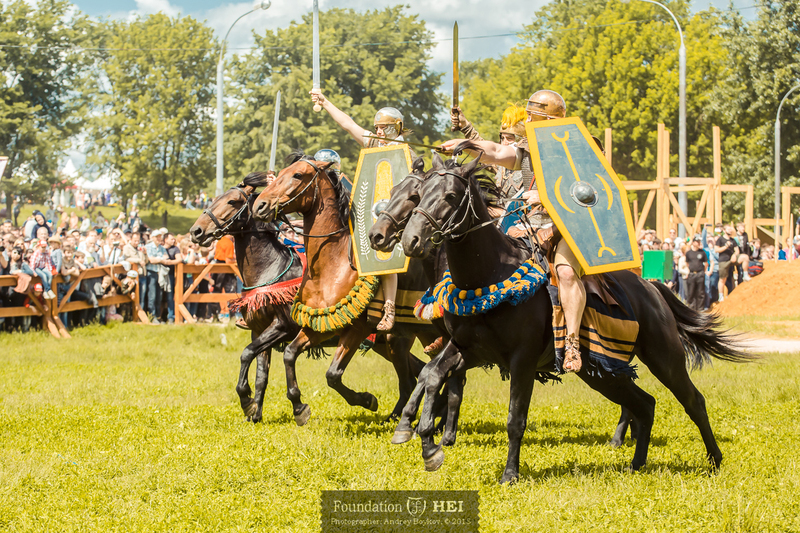 The theme of this year was Classical Antiquity. 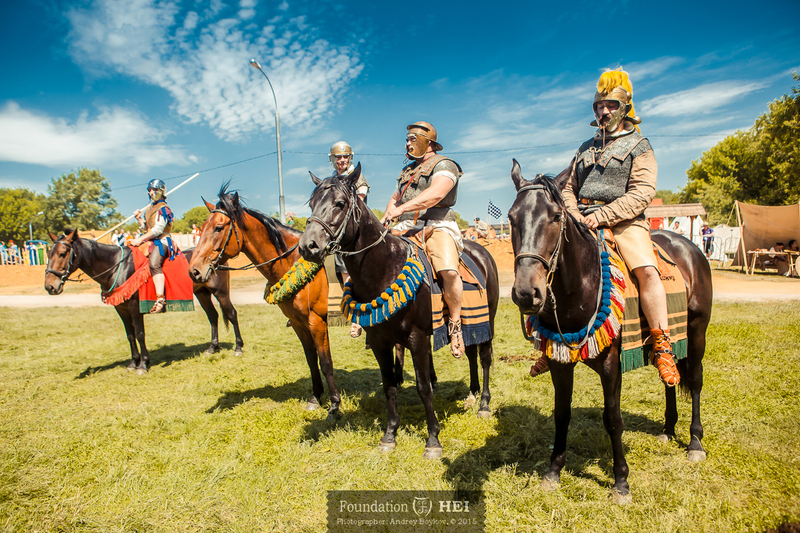 Many living history groups from around the world attended the event and the c. 250,000 visitors (!) 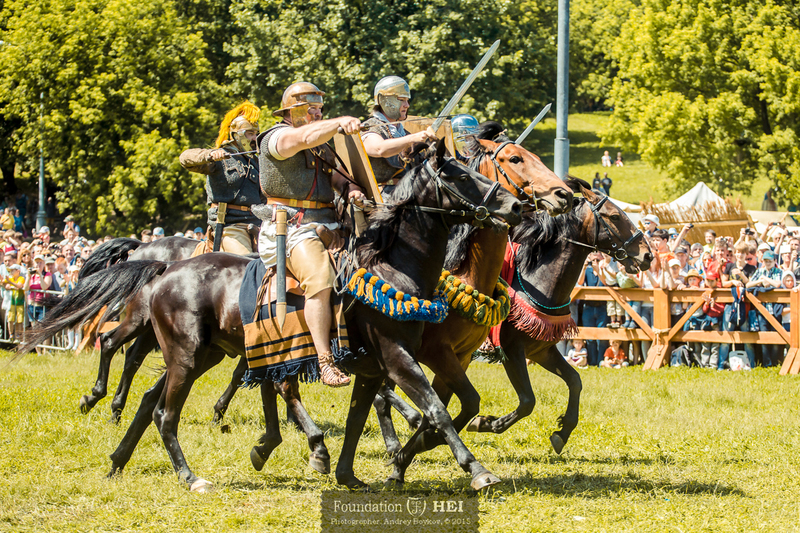 were very happy and thankful to see them in their ancient Celtic, Germanic, Greek and Roman clothing and armour. 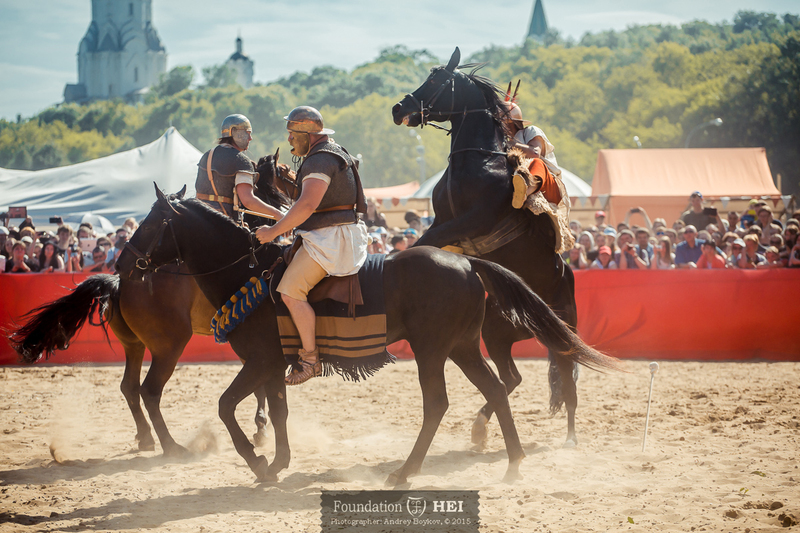 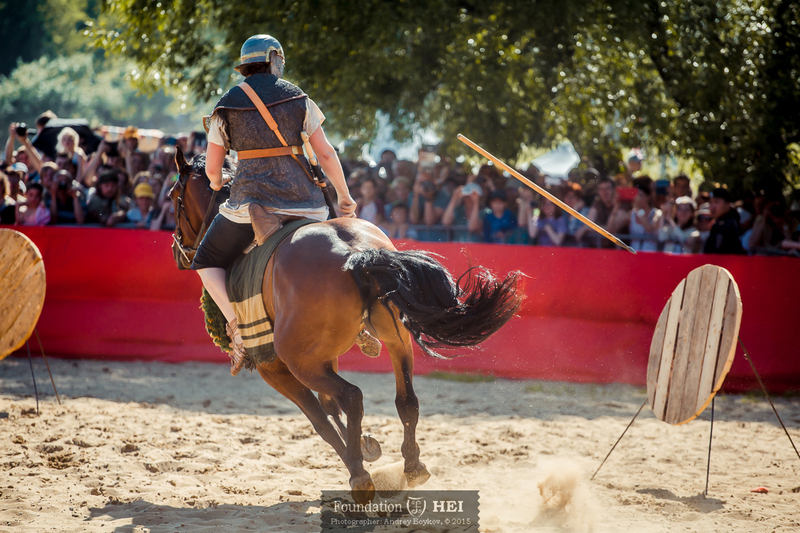 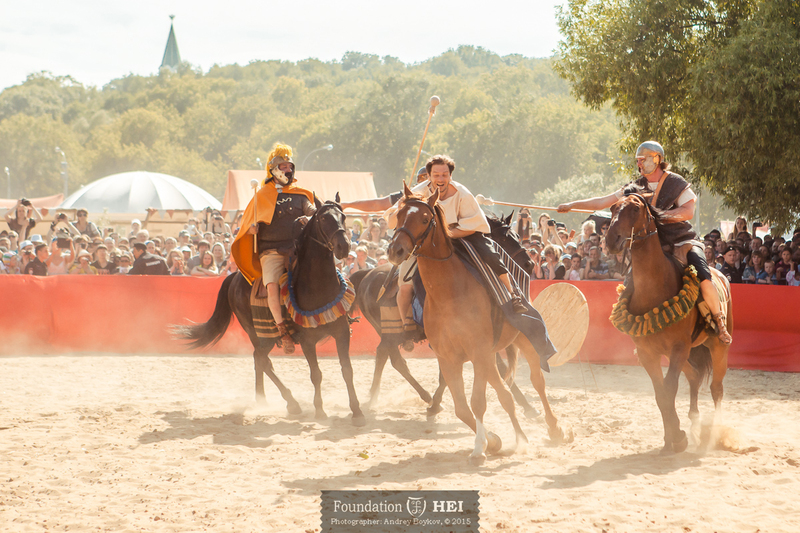 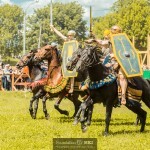 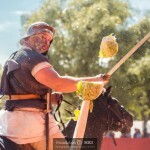 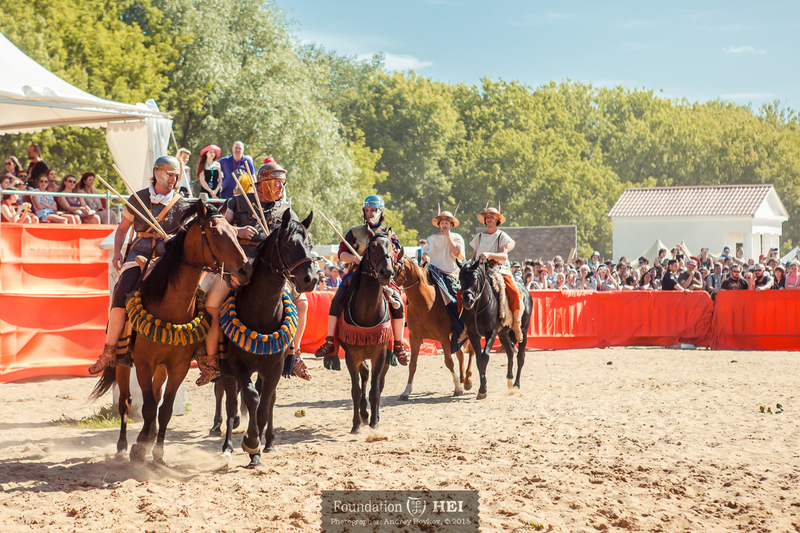 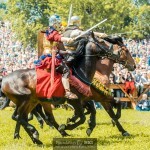 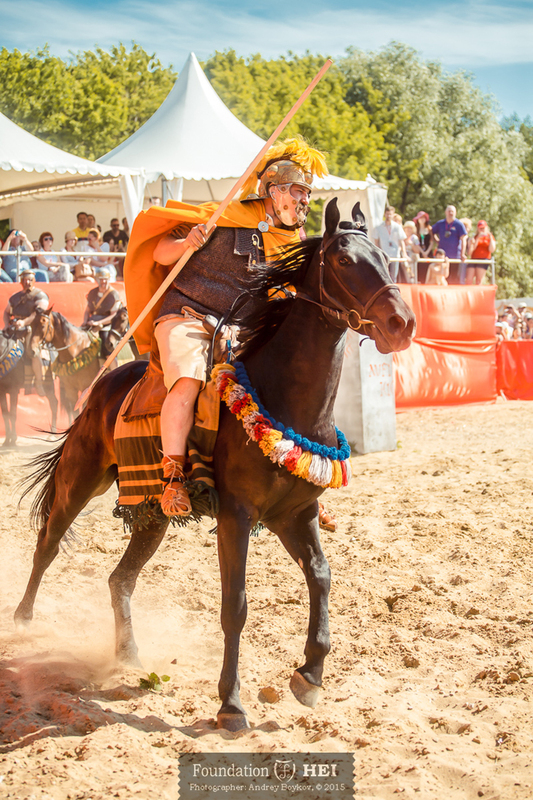 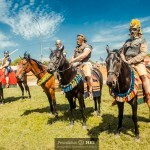 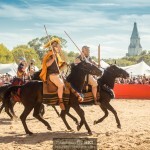 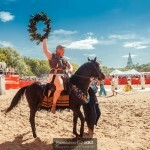 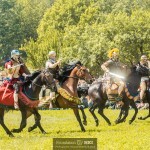 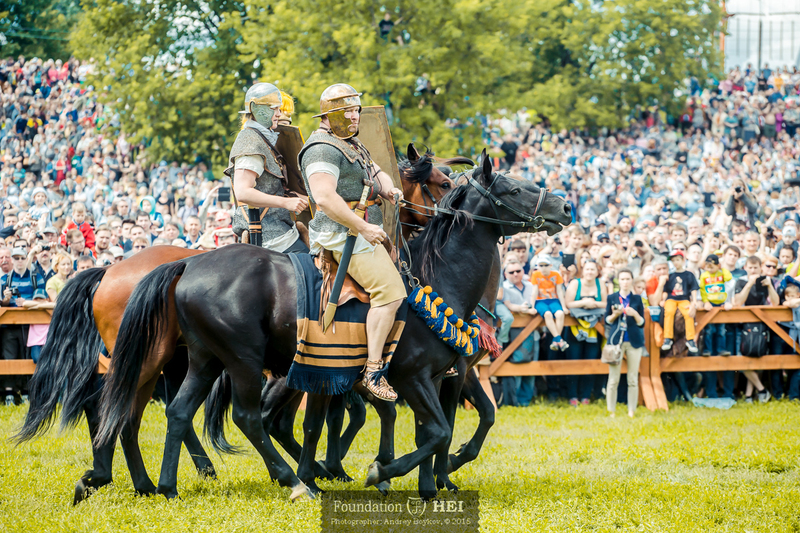 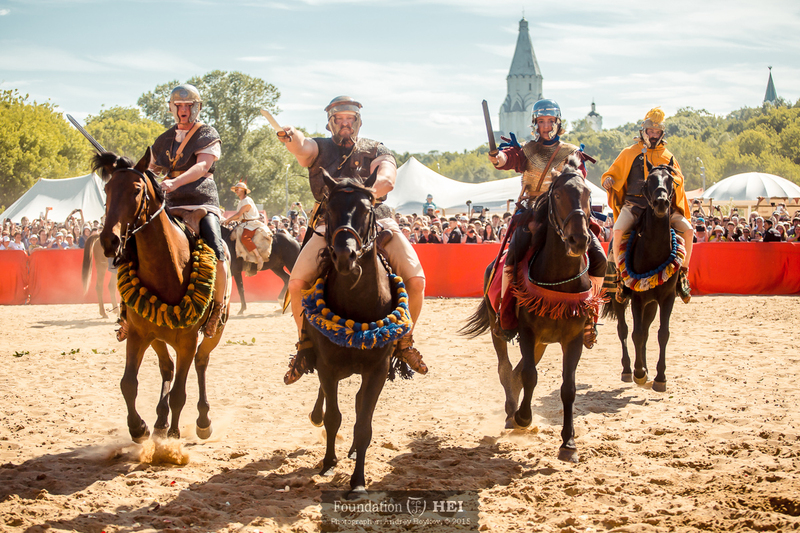 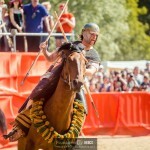 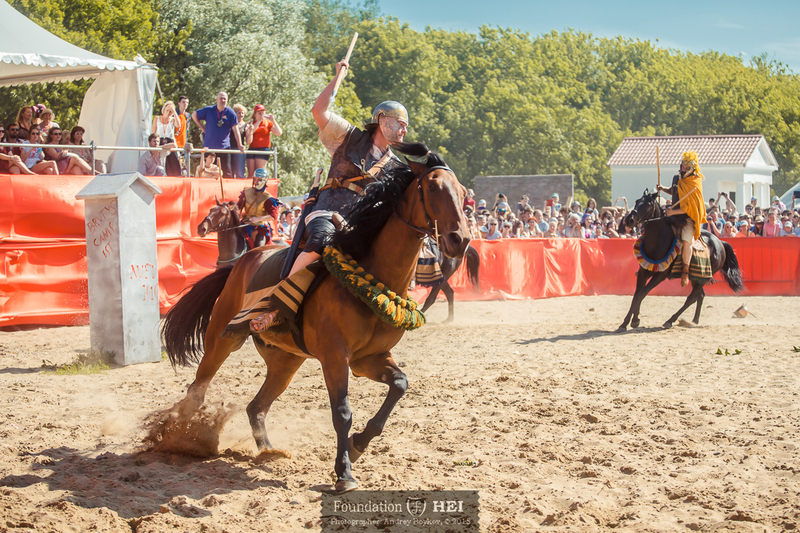 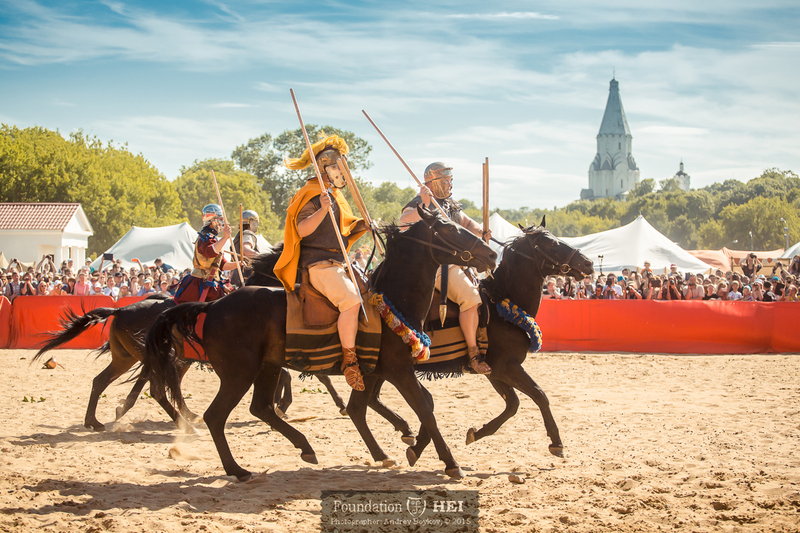 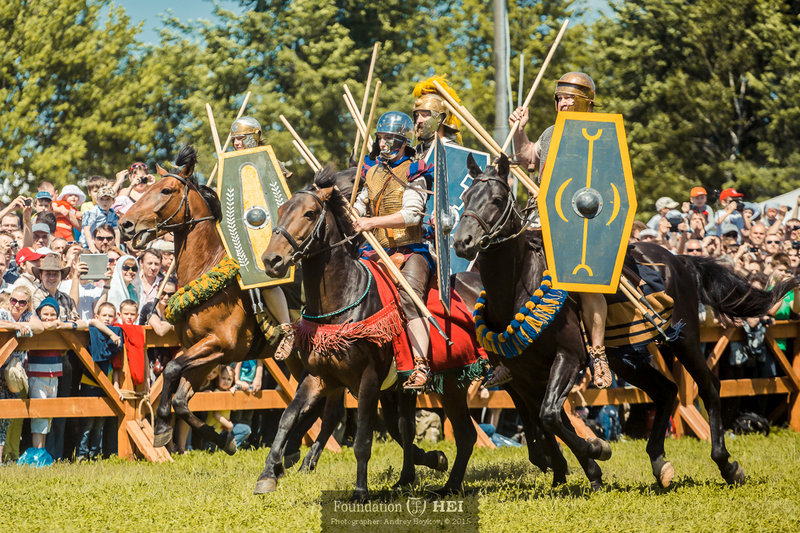 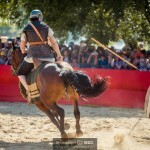 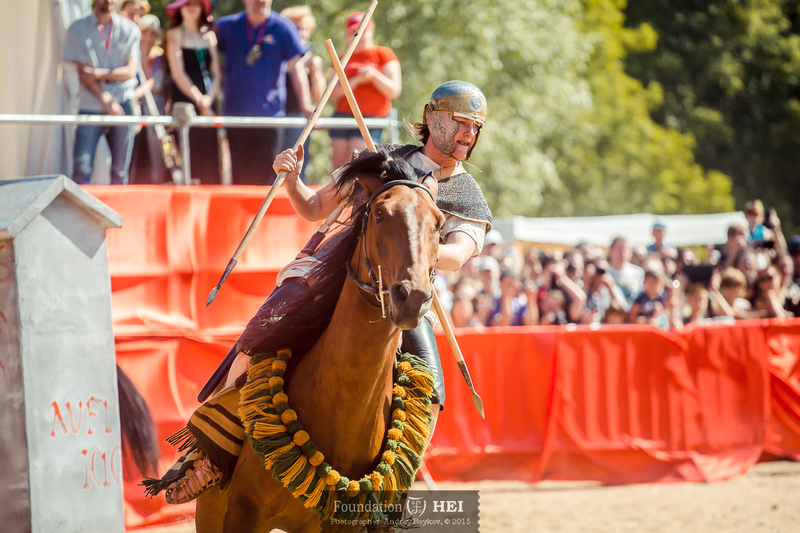 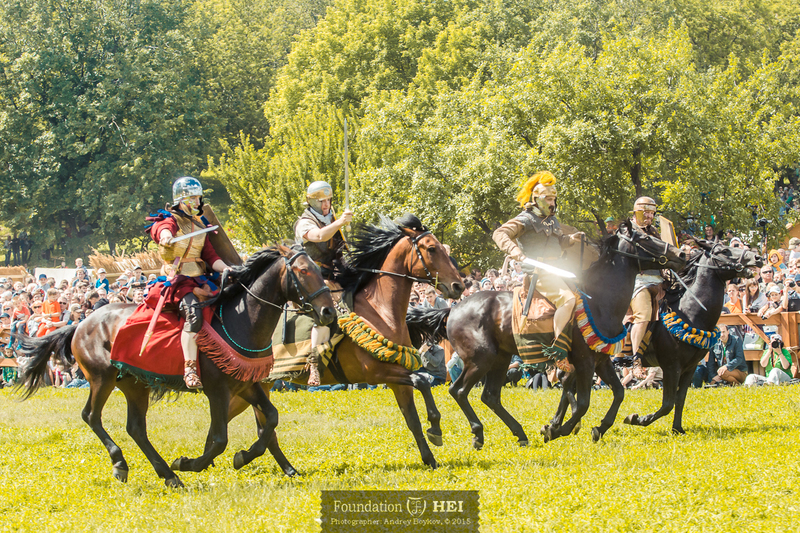 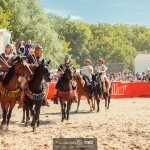 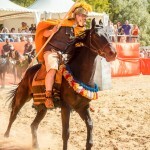 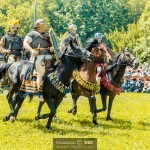 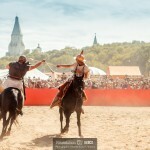 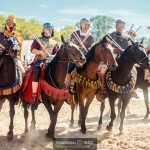 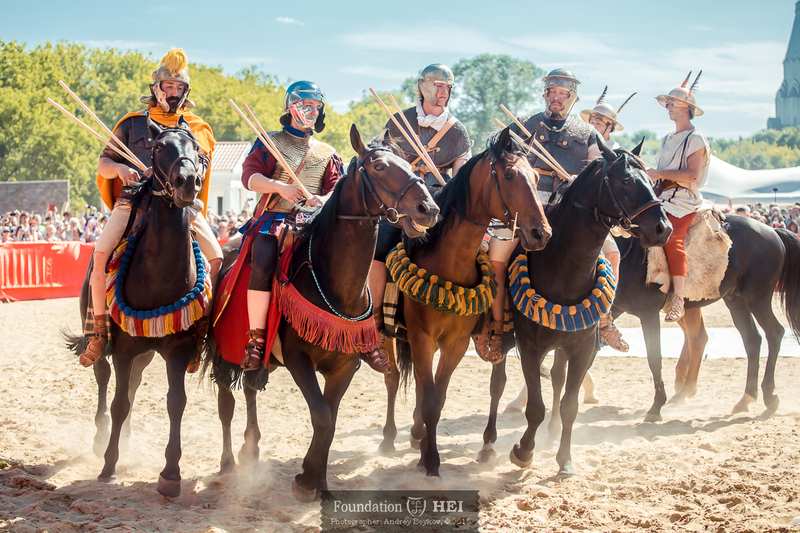 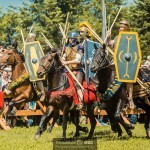 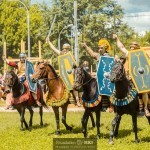 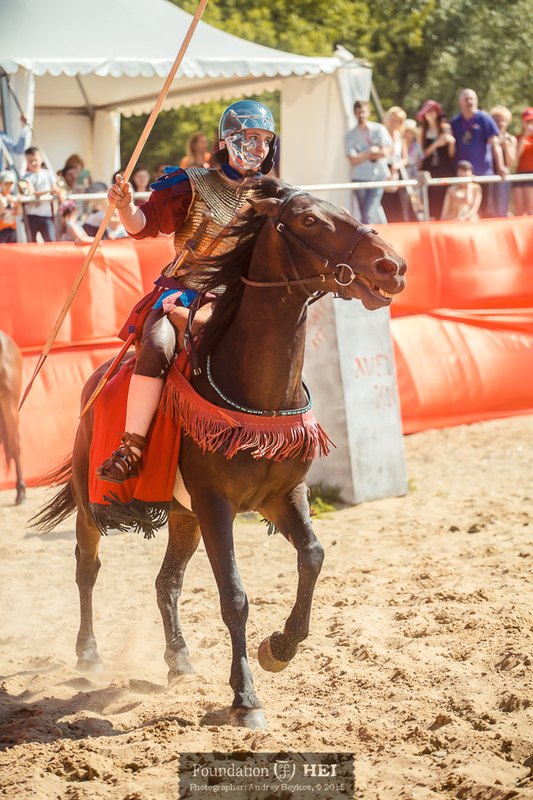 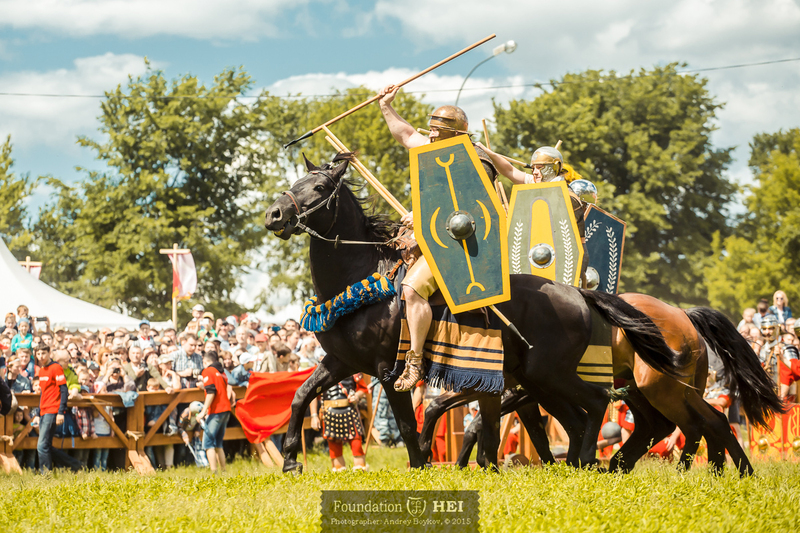 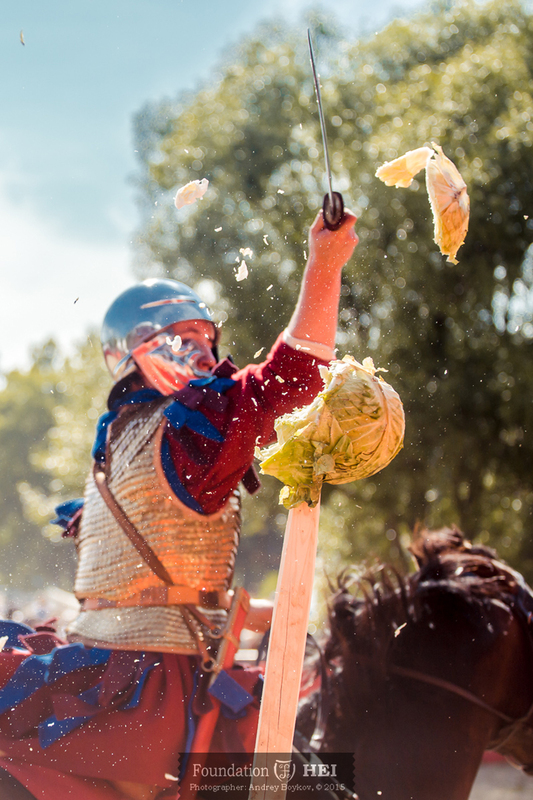 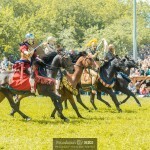 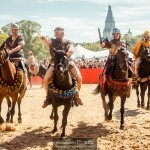 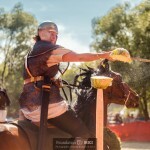 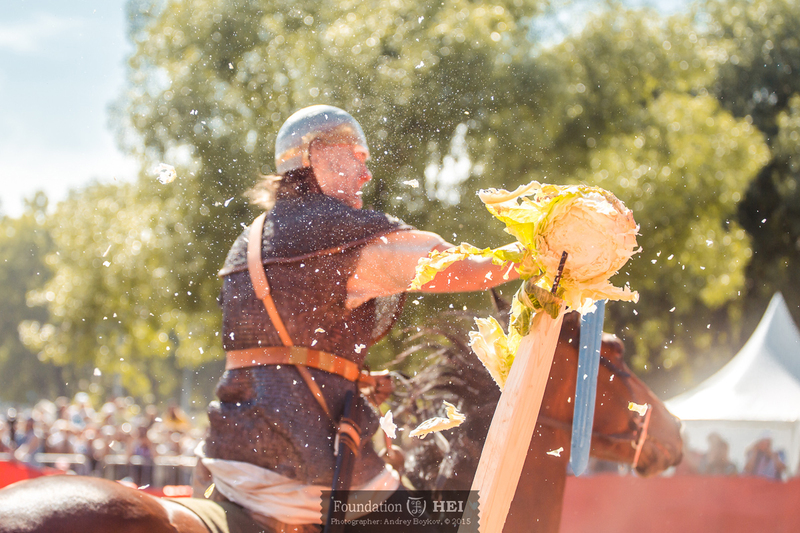 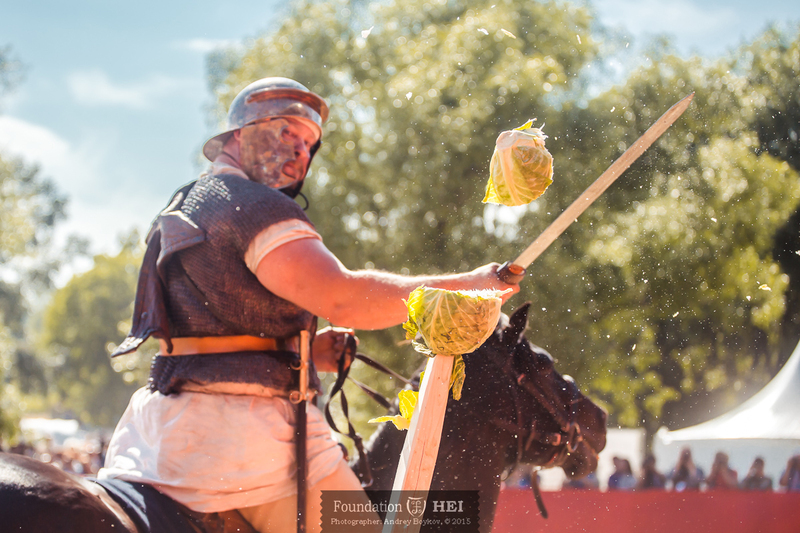 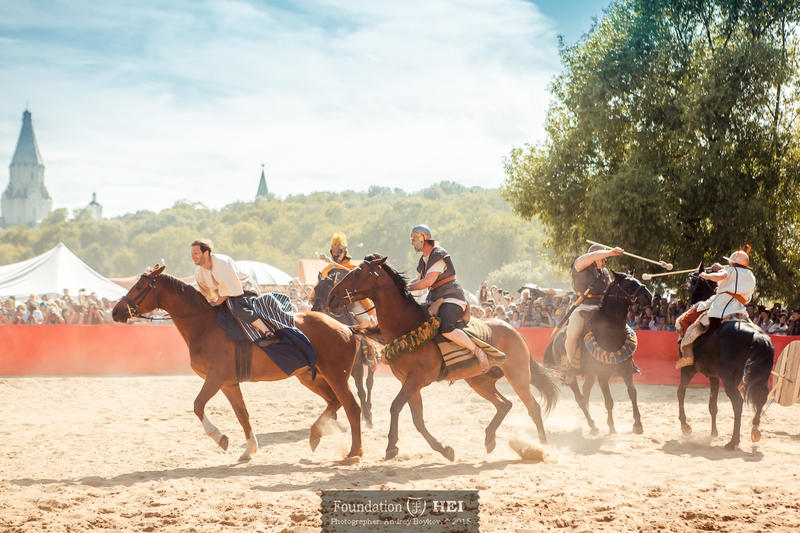 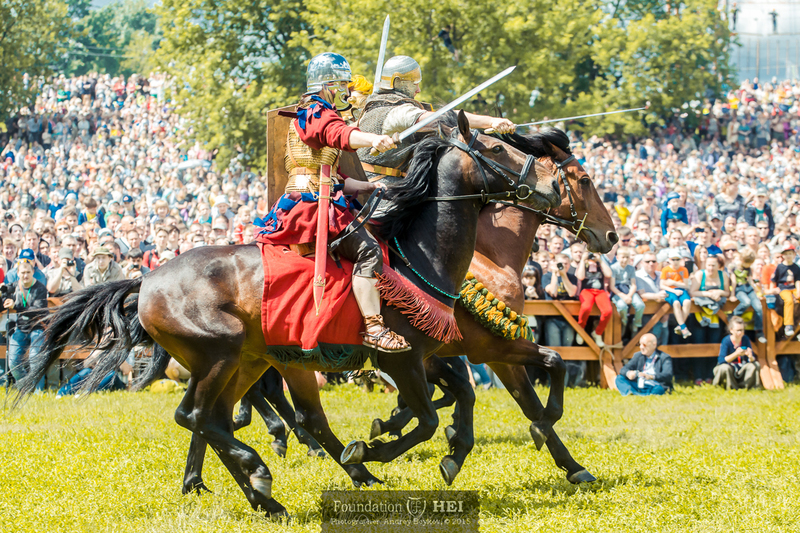 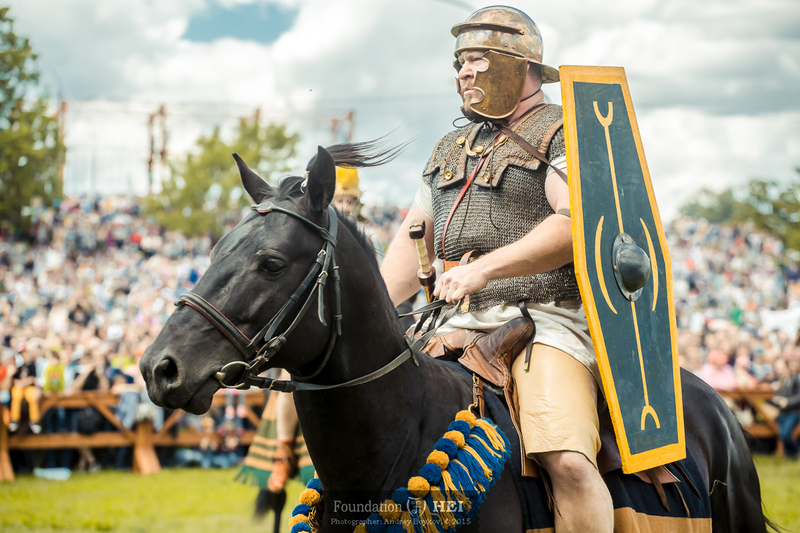 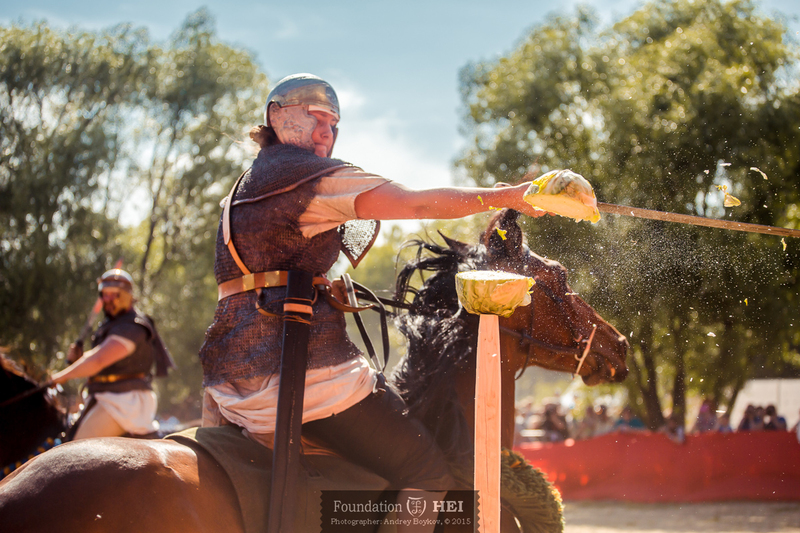 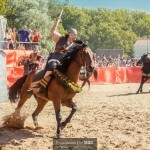 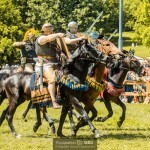 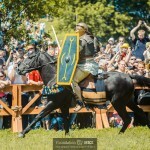 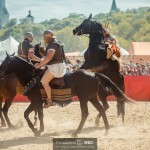 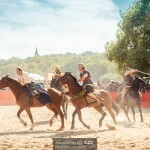 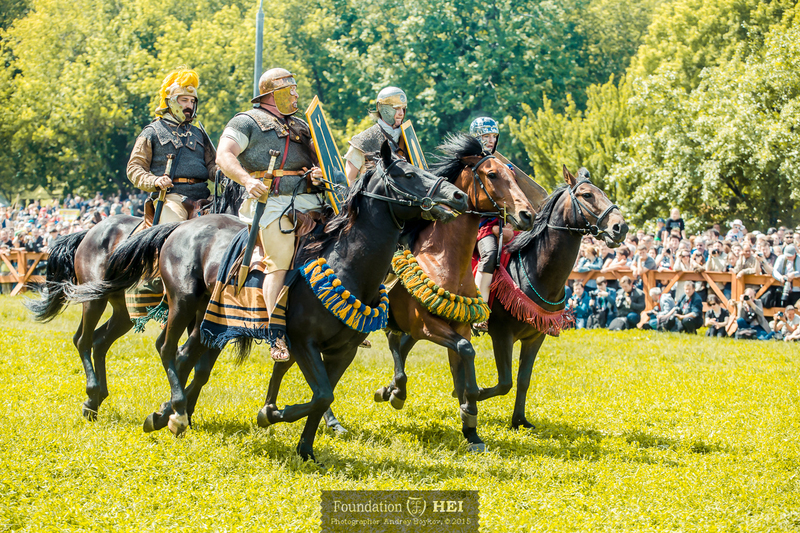 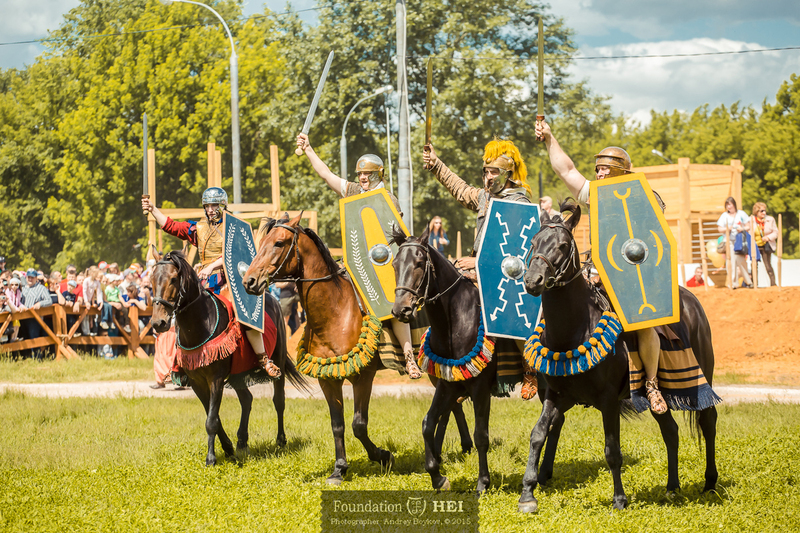 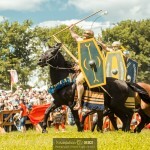 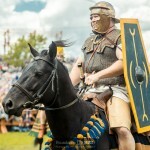 Foundation HEI, in cooperation with Ala I Batavorum, had been asked by the event organisation Ratobor to show the Moscovites what Roman Cavalry looked and fought like. 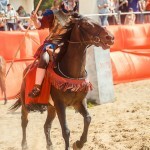 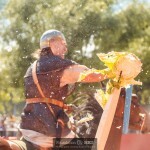 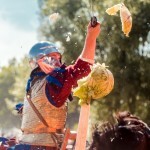 We participated in full scale battles and gave a demonstration of our skill at arms in a arena. 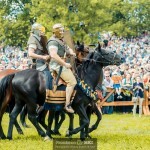 One of the riders received the honour of riding in the ‘Triumph’, the large parade. 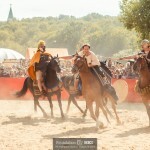 The audience loved it and so did we!